Is it Good? 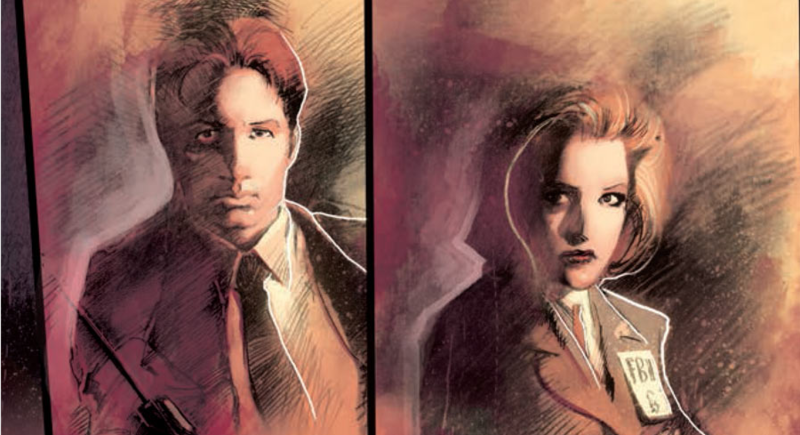 The X-Files Annual 2014 #1 Review – AiPT! The 2014 X-Files Annual arrives this week with two new tales, one of which is written by the show’s long time writer/producer Frank Spotnitz. Is it good? DO NOT ask that thing about the hair on its palm. In the issue’s first story, Mulder and Scully investigate a woman’s claim that her dead husband’s spirit is communicating to her through the phone. Since this is The X-Files, it’s a pretty safe bet that’s actually what’s going on. So uh… I really wish there was more to say about this one, but that pretty much sums it up. It hits all the usual ghost story tropes (temperature drops, birds slamming into windows, an angry priest, revenge/protection from beyond the grave, etc.) with all the subtlety of a sledge hammer. The one thing Spotnitz really does well during an otherwise forgettable story is examine the dichotomy of our favorite FBI agents’ faiths. Mulder believes strongly in the paranormal, but not so much in God/the afterlife. Scully is (for the most part) the opposite. It’s been touched on plenty of times before, but Spotnitz does a really great job using Scully and Mulder’s interactions to further explore that aspect of their relationship. One question Spotnitz left unanswered: Do ghost harbinger birds ever poop on their victims? Meanwhile, the art by Stuart Sayger is all over the place. On one page, it can manage to be beautifully dark and atmospheric… the next, cartoony and confusing. In the second story, Scully talks to a disgusting looking hand that represents one of her ex-boyfriends. There’s a great joke in there somewhere, but writer Dave Sim was actually going for the idea of a hand on Scully’s heart. It’s a fairly mundane/bland plot, but some great pencils by Andrew Currie and powerful moments of dialogue by Sim manage to make it an enjoyable read. Considering the creative powerhouses lined up behind this one, I was hoping and expecting for a lot more. Neither story is bad, but not very memorable, either. If you’re absolutely jonesing for an X-Files fix, go ahead and pick this one up. Otherwise, you can skip it and start the countdown to very exciting looking story that begins in issue #11.